Whenever my family gathers, there’s bound to be a battle. An Iron Chef Battle to be exact! Each summer we meet for a week for reminiscing, new memories, and of course eating deliciousness together. Picking a bushel of Maryland Blue Crabs is a given! Papa tells stories from flying planes in World War II and his adventures with the love of his life, Nana. Though she died eleven years ago, he keeps his wedding band on with pride. Guy time. Girl time. Family puzzles. And LOTS of good food! Our Iron Chef tradition began with Battle Bacon: 3 teams, 3 courses each, 10 pounds of bacon (fat and all) consumed. Oh my word. Even our coffee tasted like bacon after that cooking fest! Scratch-made bourbon bacon ice cream with maple bacon sprinkles. Cinnamon pancetta carbonara. Spiced bacon-wrapped water chestnuts. 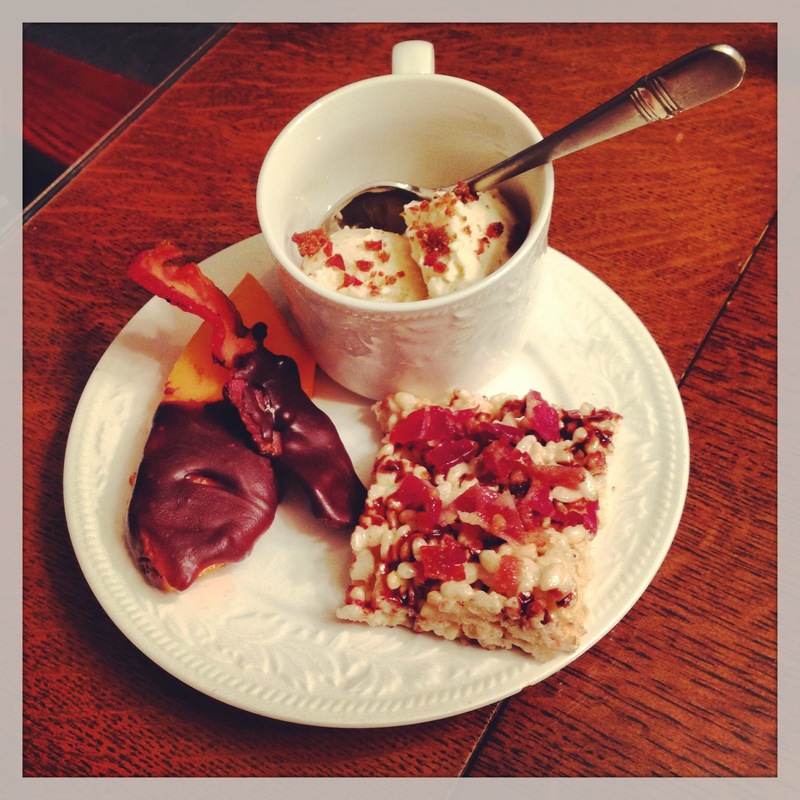 And my personal favorite: Rice Krispy bacon treats with chocolate bacon drizzle. This year, we opted for a lighter palette with Battle Lemon! Our amazing friends, the Lawrensons, came as our honored judges. What a blast! As the house filled with citrus-tastic aroma, the kitchen buzzed with preparations. 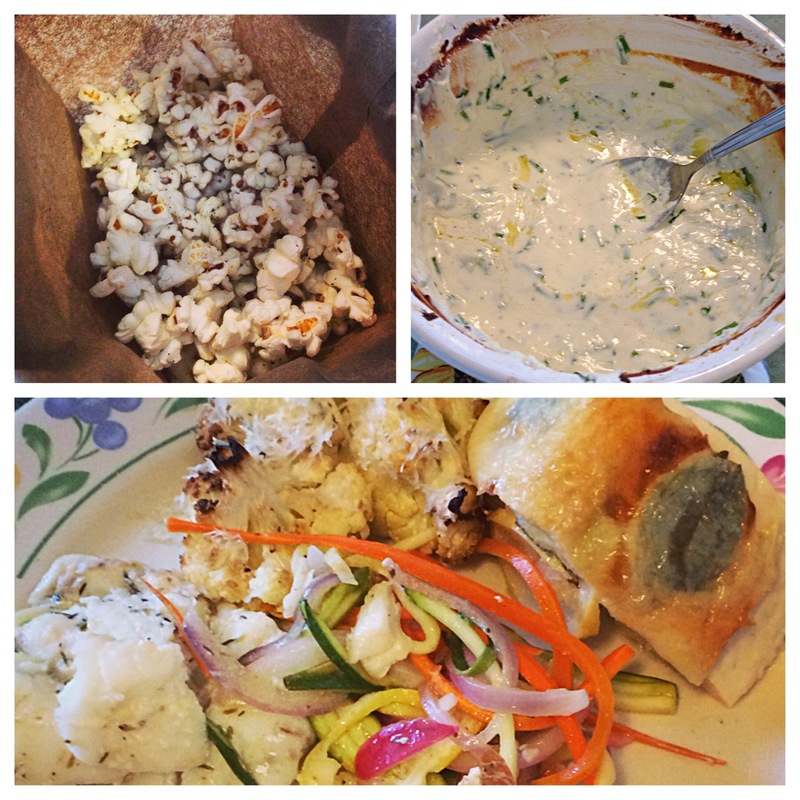 Lemon ricotta dip with garlic and chives. Lemon parm popcorn. Marscapone gnocchi with brown butter lemon sauce. Perfectly roasted chicken with lemon sage stuffed skins. Lemon, lemon, lemon. 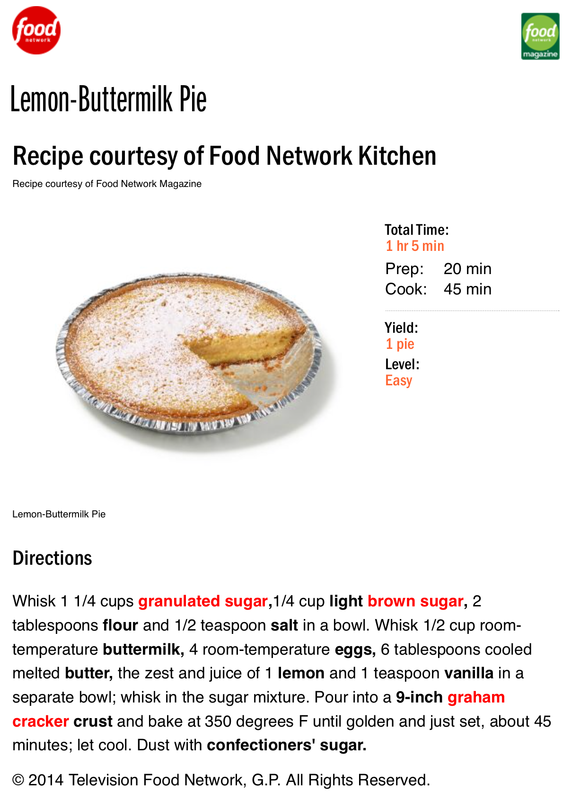 Lemon Buttermilk Pie. This simple dish from Food Network Magazine amazed us all. Creamy texture. Perfectly balanced lemon flavor. Not too sweet. Not too tart. Just right. This pie is sure to become a new family favorite. Trust me – you want to try this pie! So get your citrus on and whip up some lemon buttermilk goodness today!